Given the opportunity, I wouldn’t want to be back in my teenage years. There are all types of things happening with your body during that phase of life with hormones causing chaos added to those growing pains. You may not feel settled in who you are and your place in the world. You want complete freedom, which often results in challenges with your family as an attempt to find balance ensues. You become more aware of how you look physically and generally feel dissatisfied with most aspects of yourself. Complexion can be a problem for some. You have the pressure of exams as well as having to give focus to what you wish to do for a living. I believe now, in the two thousand and teens, it is even harder for teenagers to cope with life due to new pressures. There is no doubt that this has made a massive difference to the world we live in. 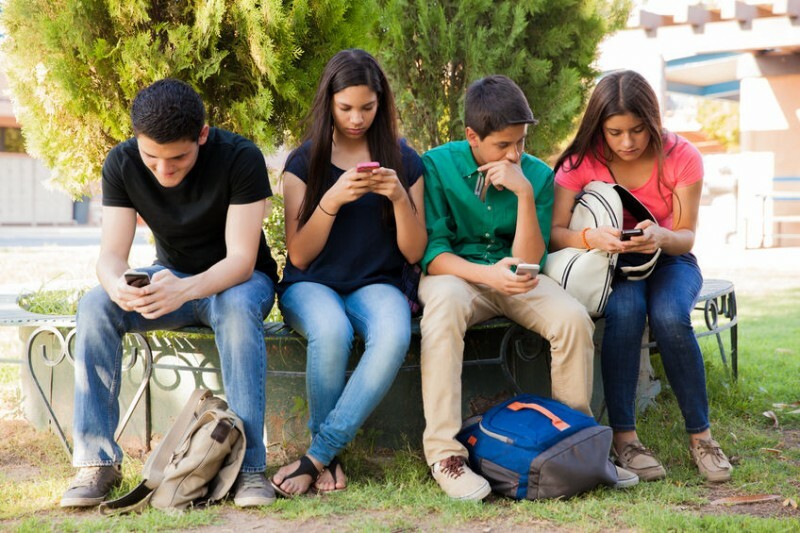 Due to modern technology such as mobile phones and Facebook, Twitter, Instagram; many teenagers do not develop the inter-personal skills they would have otherwise done. This leaves them struggling to interact on many levels and may even struggle in the workplace. Too many youngsters spend far too much time in front of screens which means they are not fully developing their brains and can impact their well-being. More youngsters than ever are struggling to sleep. Much of the reason for this is over stimulation from the time spent in front of screens, which results in too many stress hormones still being activated instead of triggering the calmer, rest and recover type hormones into the evening, which helps with the sleep process. My experience is that this is more of an issue for females than males but that is not to say that it is always the case. There is often an underlying tone of needing to ‘fit in’. You mustn’t be too fat or too thin, you must have your hair like everyone else, your skirt is too long or too short, you don’t have the ‘right’ brand of clothes or shoes. The list is endless. Unfortunately this often leads to bullying behaviour. This attempt to fit in can put a massive amount of pressure on our future adults. They should feel the freedom to be who they want to be and how they want to be without fear of retribution. True friends will allow them to be their quirky, whacky, weird and wonderful selves and that should be embraced. The world doesn’t need everyone to be a follower. It needs leaders, pioneers, mavericks, entrepreneurs, people prepared to say what they think and stand up for their beliefs and generally make the world a better place. Exams matter….or do they? Of course it can help in certain environments to do well academically but where does this pressure come from where teenagers are putting themselves under so much pressure to achieve top marks and becoming intensely stressed at exam time? Is the pressure of exams a misconception on their part or are these the messages being delivered to them? It seems, on many levels, some youngsters have lost perspective on their expected level of achievement. We must remind them that, of course they should do their best, but when they are passionate about a career, they will achieve their goal, not always in the most conventional way but there are different ways of achieving success. We must also remember that not everyone is set to be academic. There are many roles to fill in this world. Some of the most fulfilling jobs in the world require no academic qualifications. Encourage your child to pursue their passions and use their natural attributes and qualities. If they do that, success will follow. Always help them to believe in themselves. Lack of self-esteem is a massive issues for teenage girls and some boys. This may be the result of bullying either directly or indirectly. By indirectly I mean having witnessed someone else being bullied and therefore fearing that they will then be a target of bullying. This makes needing to fit in important and tends to put youngsters on tenterhooks. Magazines and social media depicting ‘perfect’ faces and bodies gives youngsters the wrong impression, given that these images are photoshopped, often heavily. Because many teenagers have not developed those inter-personal skills they may struggle in new situations and become fearful of socialising or new experiences. Self-harming is the new glue sniffing. It is a distraction away from feelings that these teenagers don’t want to feel. For some it is a temporary ‘release’ of tension, a brief ‘escape’ but the emotional pain is still there and needs to be addressed. There is a worrying increase in anxiety and depression amongst teenagers. Although I do sometimes wonder if this ‘increase’ is because they are recognised more often than they used to be. Anxiety links in with many of the issues already covered here. The stress builds and they become fearful of various situations. Often they do not understand what makes them anxious. Depression is a by-product of these issues resulting from a feeling of hopelessness or helplessness. Many teenagers struggle to imagine a positive future. They feel inferior and incapable. They have lost sight of what they are truly capable of and the amazing opportunities available to them. More life balance is needed along with some new perspectives to bring things back to where they should be. Do you ever wonder why we live in a world with so much to offer yet our teenagers are struggling more than ever? I have come across youngsters who do so many after school activities that they struggle to fit in their homework. Not to mention the fact that parents are stressed from all the running around they do to get them to each activity. All of these activities result in them becoming exhausted and stressed. It is important to keep a balance and have some down time. Have some evenings where you just chill as a family with no screens too distract you. Do basic activities such as go for a walk or do something creative. Counselling can be challenging for teenagers because they feel judged. They don’t understand a lot of what is happening for them and find the questioning quite impersonal. I am all for helping teenagers feel empowered and part of the process of the changes they want to make. We are dealing with a new age of youngsters yet many are using the same old therapies that perhaps were serving a purpose 20 years ago. We have a wonderful therapies nowadays working on a solution focussed approach on levels with the subconscious mind, our energy systems and quantum physics. Youngsters then become part of the process of the changes they want to make, which is enlightening and empowering. Most importantly, from a therapist’s point of view, it is important that I understand each of my clients and don’t just put them in a category or box. I have come across 14 year olds who appear very mature and others that have quite an immature manner. It is important that the treatment is right for them. This is why I like to really understand my clients as individuals and understand their unique issues and problems. Keep communication lines open with your teenagers and ensure that you give them time. I believe time is crucial factor here. Life can be so busy with many distractions but having some family time can be so valuable. Talk a little about your experiences because it sometimes helps them to realise that you struggled too but came out the other side. Encourage them in the activities they enjoy. Ensure they realise that exams are not the be all and end all – give them examples of people who have been highly successful without getting great exam results or going to University. I know parents want their children to do well in exams, of course you do, but they really are not everything and disappointing results do not mean ‘the end’. Make your home a welcome environment for their friends but give them space too. If there is another family member or friend that they feel comfortable talking to, keep those communication channels open. 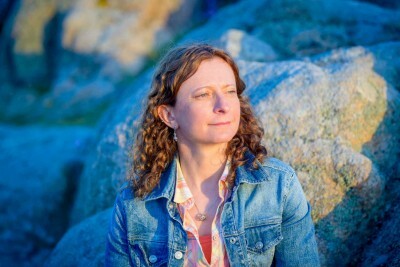 ANN BOWDITCH is a member and trainer registered on the General Hypnotherapy Register and has run her own private practice in Guernsey for over 6 years. She is also a practitioner of a number of therapies including EFT, Energy in Motion, META Health, NES Health, Matrix Reimprinting, Colour Mirrors. Ann is also a RMTi Consultant – the only one in the Channel islands. 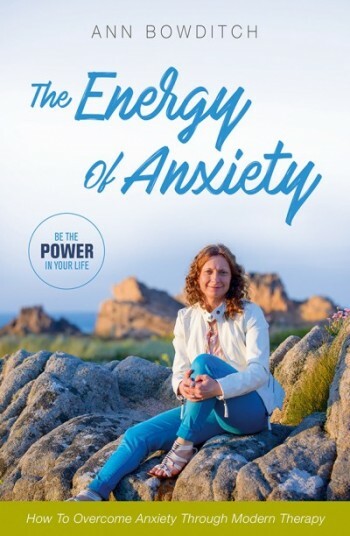 She uses her skills to help people overcome many issues including depression, health, stress, weight loss, cravings, addictions, anxiety, insomnia, bullying and confidence issues. Ann works in a unique way often by combining therapies tailoring sessions specifically for the individual.